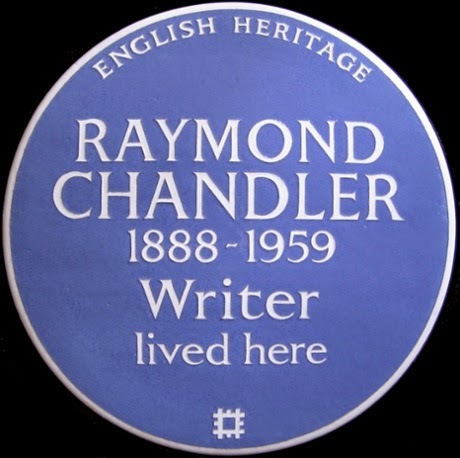 Maev Kennedy at the British newspaper the Guardian offers a piece on a British historical plaque given to crime novelist Raymond Chandler. 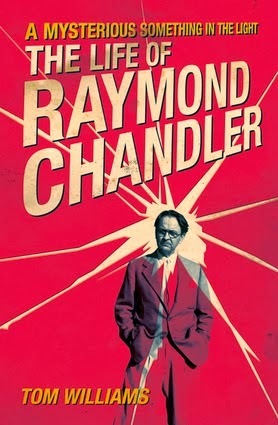 Down those not very mean streets of Dulwich and Upper Norwood a man must go, to see a new English Heritage blue plaque honouring one of the most improbable residents of the leafy and affluent south London suburbs: Raymond Chandler, creator of Philip Marlowe, the 10-minute egg of the world of hard-boiled detectives. The clue was in the name: while the rumpled, hungover but noble detective would have looked, as Chandler wrote in Farewell, My Lovely, “about as inconspicuous as a tarantula on a slice of angel food” in Edwardian Norwood, he was christened Marlowe in honour of Chandler’s house at his old school, Dulwich College. The author of Farewell, My Lovely, The Big Sleep, and The Long Goodbye, whose detective hero was immortalised on screen by Humphrey Bogart, later stayed at more obviously Chandleresque locations including the Connaught and the Ritz. The plaque, however, has been unveiled on a house at Auckland Road, Upper Norwood, a double-fronted Victorian villa that became the London home where he lived longest, from 1900 to 1905, while he was a day student at the college preparing for his civil service exams. His biographer, Tom Williams, said the connection came as a surprise to many. “Chandler seems Californian through and through but he was born in Chicago and educated in London. He took two very important things from Dulwich: a grounding in the classics that protected him against pretension, which made his writing so very much better than most of his contemporaries, and a chivalric code of patriotism and honour, very much the ethos promoted in public schools of the day, which is at the core of Marlowe,” he said. Chandler described his Marlowe as “a shop-soiled Galahad”, and Williams pointed out that he studied in Dulwich library under a painting of the Arthurian hero by the Victorian artist GF Watts. “Every Marlowe story is essentially a grail quest,” he said.